not bad....took a month to arrive...but with the price and quality...can't complain at all. Jacket, certainly at $500, but does not look bad. My height 165 and shoulders and sleeves are in place. Delivery two weeks to Moscow. The smell of, but not critical. After the first wash, think, erode. Generally satisfied with the goods. Blouse come in 3 weeks. The star of the dirty spot, like it is washed off, but still not nice. Good quality, good size, fast and door to door delivery, thanks for every thing. Parcel arrived for a month. 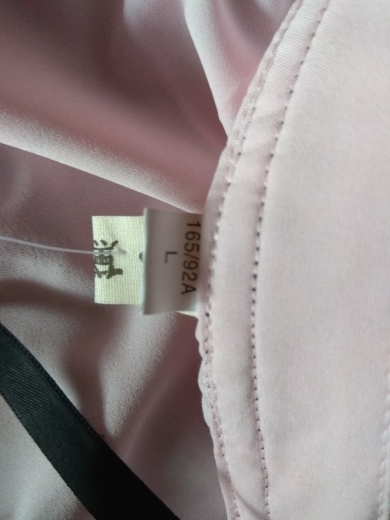 Blouse translucent, have little smell. Size L a little too big for Russian 44. Can be to order m. Front recesses are not enough, if not, a little puffs. Close excellent, the growth of 160 and 89/68 came, the shoulders village clearly, less would be low in the arms and shoulders, happy shopping! Thank you very much for fast delivery and goods. All great! 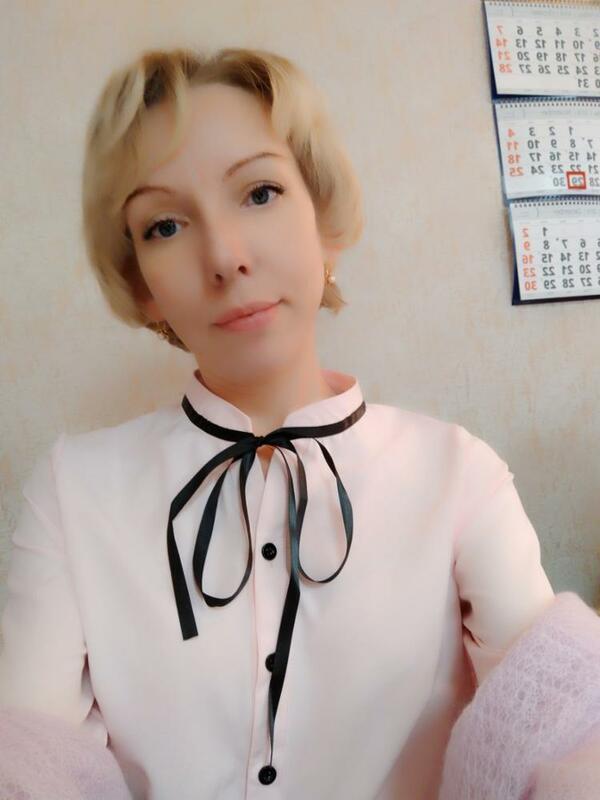 Wear 44, top perfect village, bottom bolshevat, probably better M took, instead of L, thought, that would be a little, but does not say what not satisfied, going to wear a skirt with high waist. Somewhere a little thread, not critical, can be cut, but what do you want for 7 $)) Recommended! I am very sacrificed and it is very nice and pretty. Very nice shirt! Happy purchase! Synthetic good quality. Just to work or lectures. Nice shirt. 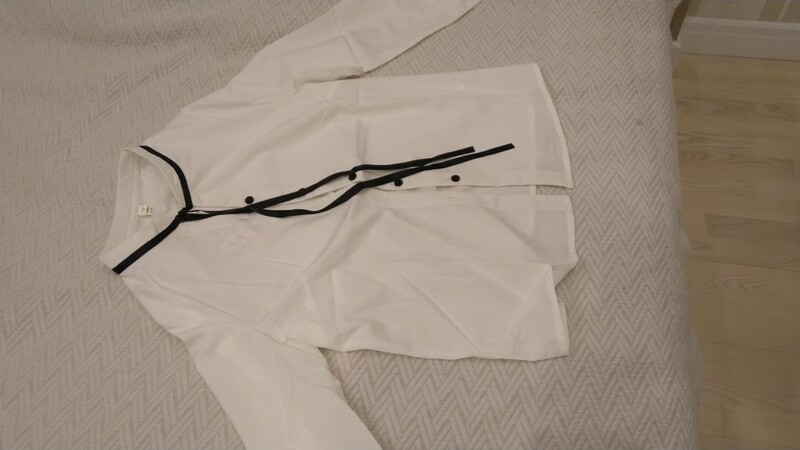 I wear US size S.
Very beautiful shirt even if the fabric is a little thin and fragile. Shipping to MO for 2 weeks. Size 44. 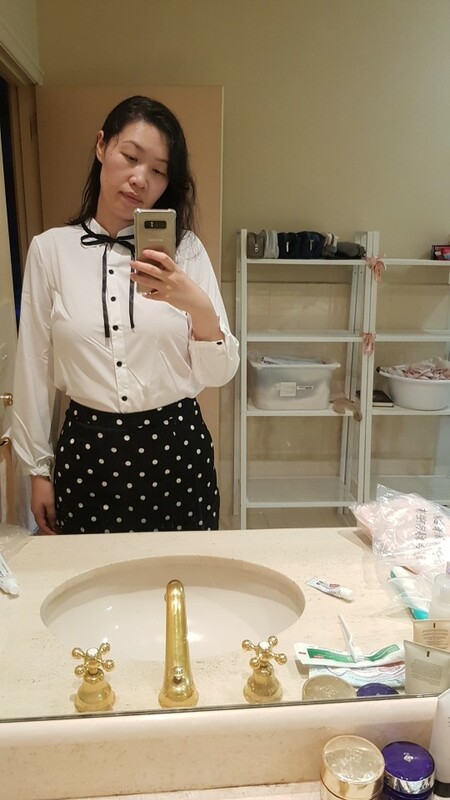 Really like this blouse. Fits perfect Thank you store! Super, PRI razmere S zakazala M. Podoshol idealjno. Tkanj prijatnaja. 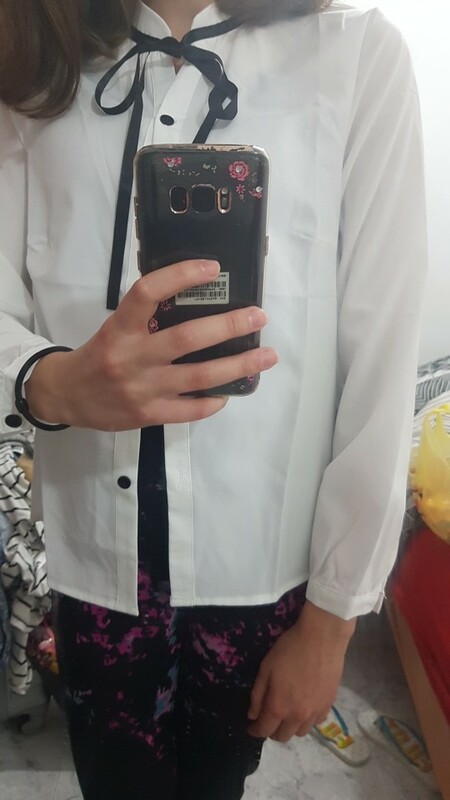 Very good blouse, beautiful, good quality! 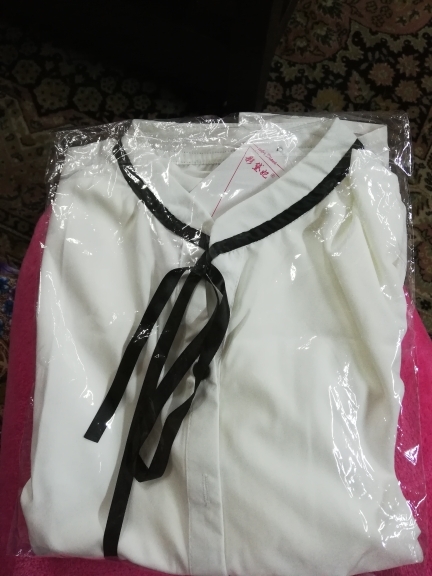 Blouse ukrainu came within 20 days. did not communicate with. there is an unpleasant smell, wash not tried. 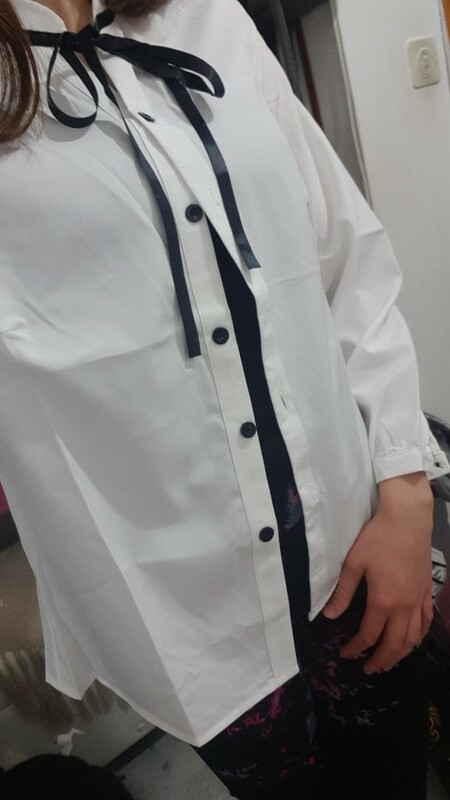 wear M, l ordered in length and sleeve at the time (height 168 cm), M probably would be short, the width of the stock is. 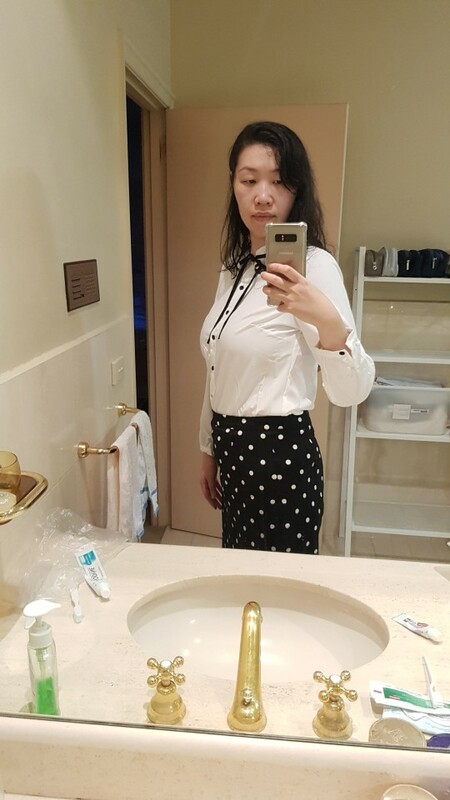 tall Girls, above 175 cm blouse will not work, will be short. nice body. it looks quite nice. Blouse came quickly approached, all good. 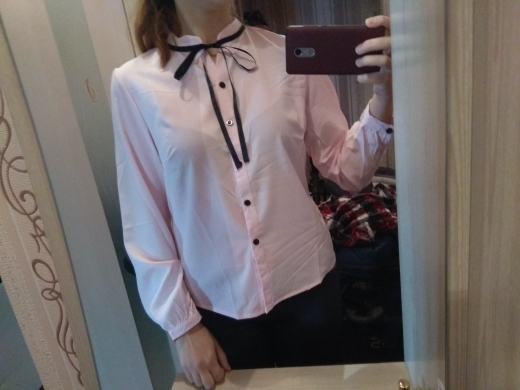 I really like this blouse. Order came quickly, only for 2 weeks in Yaroslavl. Packed carefully. 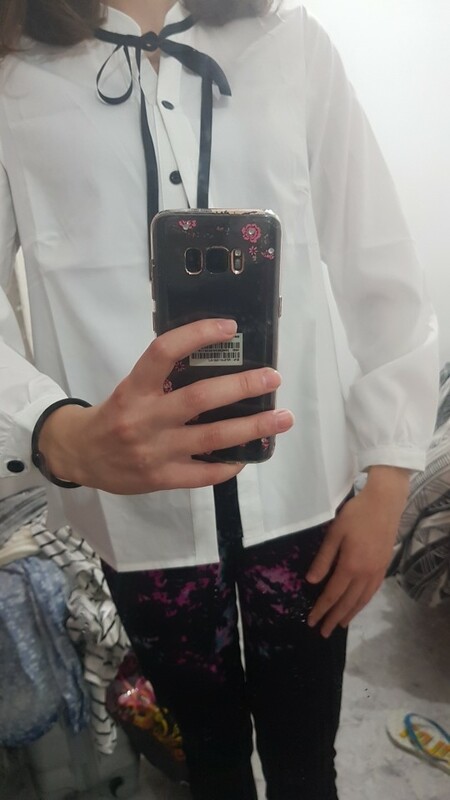 Blouse perfectly fit, fabric not wrinkled and pleasant to the body. The quality is excellent. It's a little bit sheer and sleeves are too short but overall it's very nice and true to size. It's time. Quality is not bad. A little bit short sleeves.